Martinis class up any affair - but making them frozen gets them ready to party. While the basic martini, made with vodka or gin, will always be a classic, there are so many fun variations to try that you'll never run out of new flavors to enjoy! This frozen martini has a little bite, thanks to cranberry juice. Its tartness pairs perfectly with the smoothness of vodka. Add ice to the ice reservoir and all remaining ingredients to the Margaritaville® Bali™ Frozen Concoction Maker® with Self Dispenser glass jar. Concoct and enjoy. Serve frozen martinis at your next party. Drama, intrigue, style - this classy frozen martini has it all with gin, blood orange juice and a splash of bubbly club soda. Add ice to the ice reservoir and all remaining ingredients to the Margaritaville® Bali™ Frozen Concoction Maker® with Self Dispenser glass jar. Concoct; garnish with blood orange slices before enjoying. Many herbs work nicely in martinis, including rosemary. Its aromatic flavor profile takes a basic frozen gin martini to new depths. Add ice to the ice reservoir and all remaining ingredients to the Margaritaville® Bali™ Frozen Concoction Maker® with Self Dispenser glass jar. Concoct; garnish with rosemary sprigs and olives before enjoying. It's sweet, but a little spicy - just the thing to get the party started. Red chili powder provides the kick while cocoa and chocolate liqueur keeps things smooth to the last sip. Add ice to the ice reservoir and all remaining ingredients to the Margaritaville® Bali™ Frozen Concoction Maker® with Self Dispenser glass jar. Concoct; garnish with chocolate shavings before enjoying. 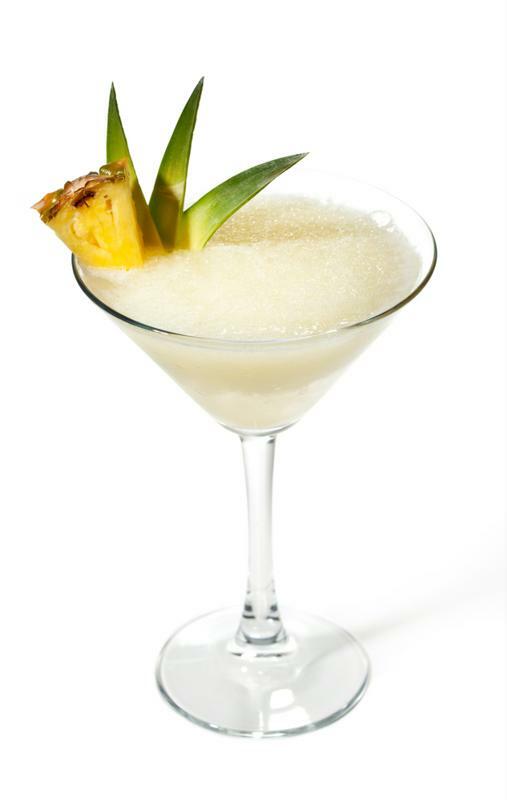 Embrace tropical island vibes at your party with this downright delicious and totally refreshing frozen martini. Add ice to the ice reservoir and all remaining ingredients to the Margaritaville® Bali™ Frozen Concoction Maker® with Self Dispenser glass jar. Concoct; garnish with orange slices before enjoying. Zesty and thirst-quenching, be ready to make a few batches of this frozen martini! It's light, smooth and bursting with flavor. Add ice to the ice reservoir and all remaining ingredients to the Margaritaville® Bali™ Frozen Concoction Maker® with Self Dispenser glass jar. Concoct; garnish with lime wedges before enjoying.